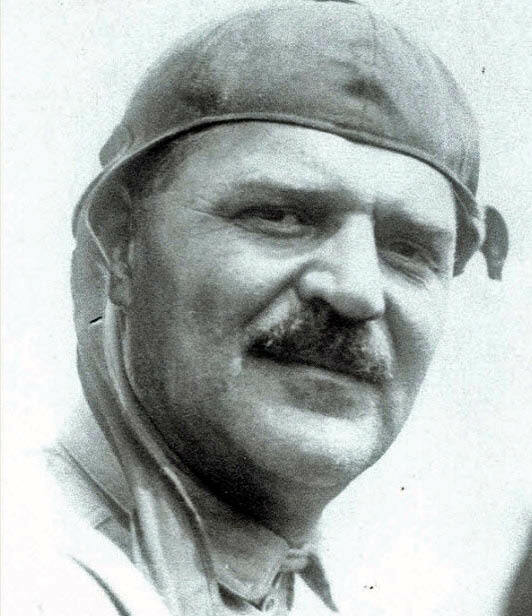 Louis Chevrolet. The most famous "name" in the Vanderbilt Cup Races, participating in more races than any other driver (1905, 1908, 1909, and 1910). -Where is the bust located? Hint: This photo was taken on June 6, 2014. 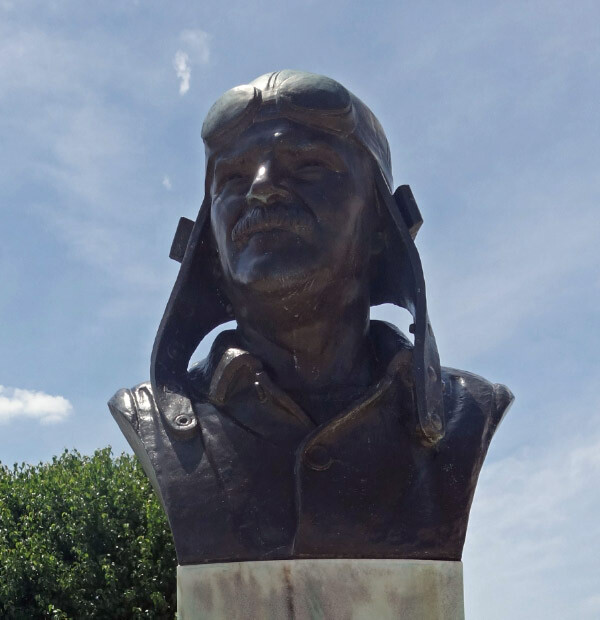 The bust is part of the Louis Chevrolet Memorial sculpture located outside the Indianapolis Motor Speedway Hall of Fame Museum in Speedway, Indiana. 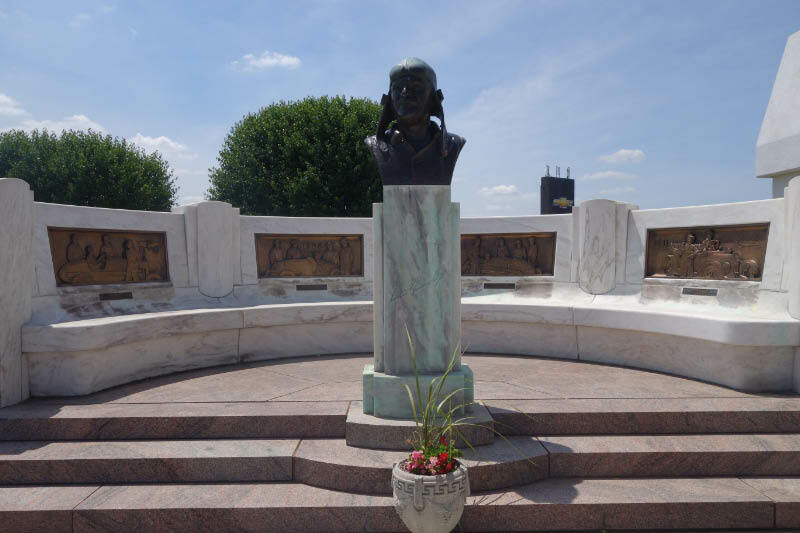 Congrats to Greg O., Steve Lucas, Wayne Carroll Petersen, Dr. Mark and Art Kleiner who correctly identified Louis Chevrolet. Kudos to Greg O., Steve Lucas, Dr. Mark and Art Kleiner who knew the Indy location. 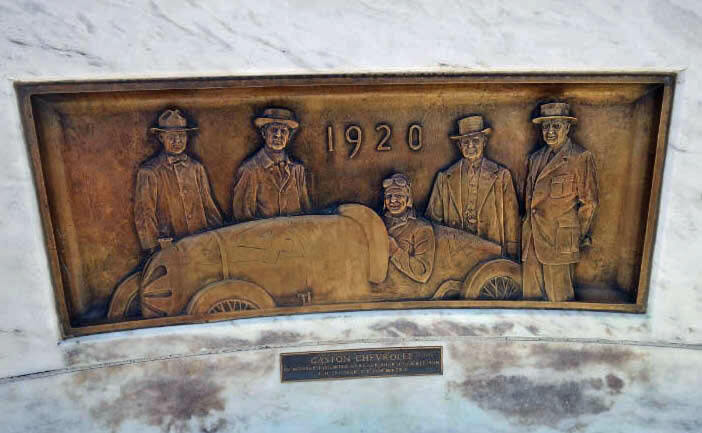 As described by the Smithsonian Art Inventories Catalog: "The work commemorates the accomplishments of Louis Chevrolet and included a bust of Louis, set before an exedra wall with four bronze relief panels depicting four of Chevrolet's major accomplishments." Chevrolet's 1923 Barber-Warnock Fronty Ford at the Speedway with Henry Ford at the wheel and Louis standing alongside, flanked by Barney Oldfield and Harvey Firestone. 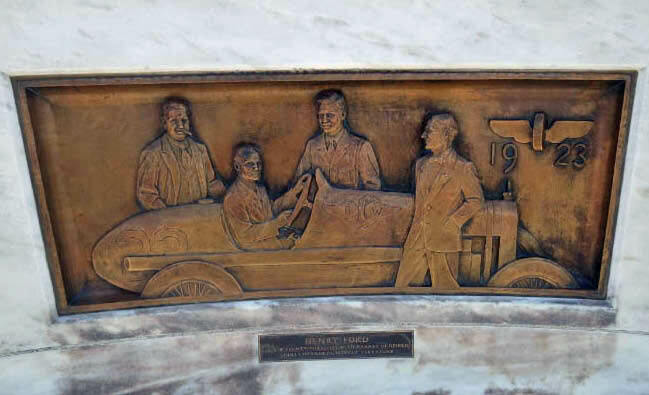 Chevrolet's first winning car at Indianapolis, driven to victory in 1920 by brother Gaston, with four Speedway pioneers in the background -- Carl G. Fisher, James A. Allison, L. H. Trotter, and T. E. (Pop) Myers. Chevrolet's second Indianapolis winner, driven by Tommy Milton in 1921, with Capt. E. V. Rickenbacker, Col. A. W. Herrington, Louis Schwitzer and C. W. Van Ranst. Louis Chevrolet and W. C. Durant, founder of General Motors, with the first Chevrolet passenger car in 1911. 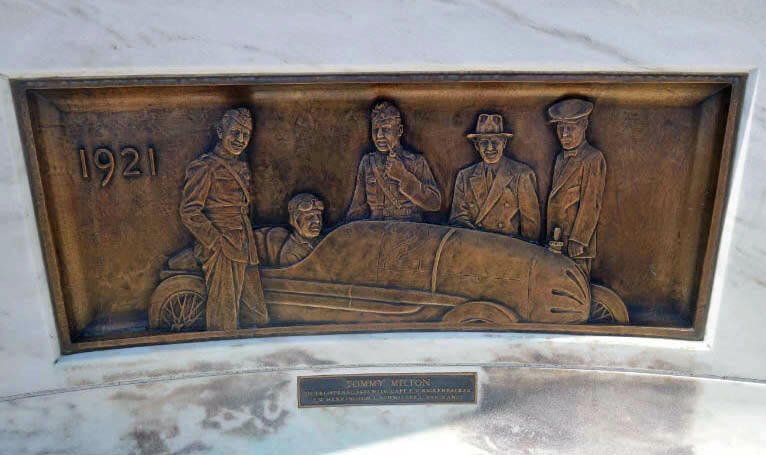 The bust is Louis Chevrolet in front the museum at Indy. Howard- Give me a break, will ya ha? That looks like Louis Chevrolet watching all the racing fans as they enter the Speedway Museum at the Indianapolis Motor Speedway. 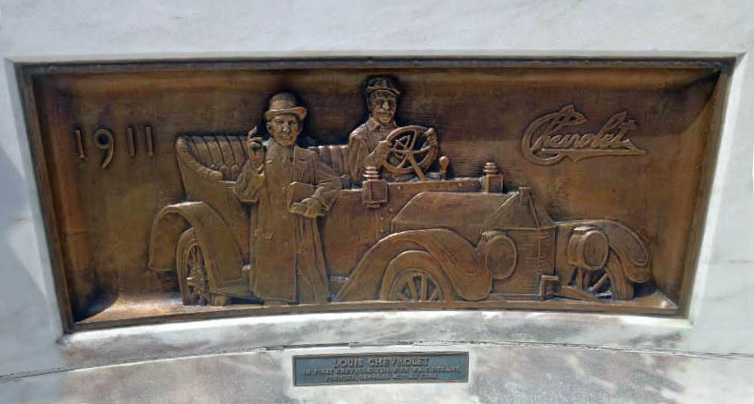 Louis Chevrolet Memorial at the entrance to the Indianapolis Motor Speedway Hall of Fame Museum. Chevrolet participated in more Vanderbilt Cup Races than any other driver (1905, 1908, 1909 &1910;) as noted on Howard’s blog. Also started at Indy in 1915, 1916, 1919 & 1920. 1920 was his best finish (3rd). Looks like Louis Chevrolet. Don’t know where it might be.